1993 World Trade Center bombing mastermind Omar Abdel-Rahman dies in North Carolina prison. 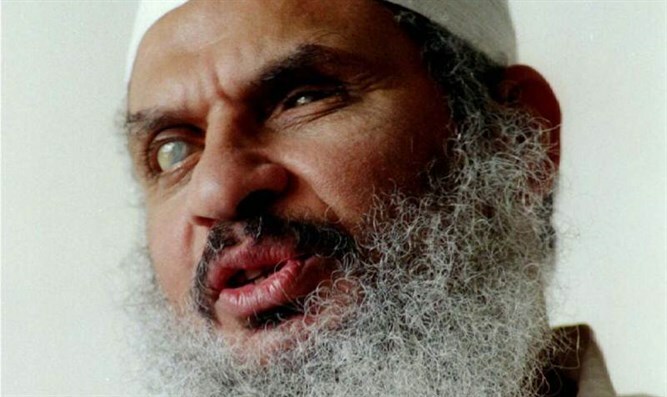 Omar Abdel-Rahman, known as the "Blind Sheikh," died of natural causes on Saturday in a federal prison in North Carolina. Abdel-Rahman, 78, was born in Egypt and served more than 20 years in prison after being handed a life sentence for his participation in the planning of the 2002 World Trade Center bombing, which killed six people and injured more than 1,000 others. At the time of his death, he had diabetes and coronary artery disease. The diabetes, which he had since early childhood, left him blind at the age of 10 months.At the age of 11, Abdel-Rahman knew the Quran by heart and was sent to an Islamist boarding school. "Allah has taken the soul of Sheikh Omar," tweeted his daughter Asmaa Abdel-Rahman. Abdel-Rahman's son Ammar said he had been phoned by a US representative to say his father had died in prison in South Carolina. Abdel-Rahman was known as an extremist Muslim cleric who besides for planning the 1993 bombing also planned further attacks as part of a "war of urban terrorism" in the US. Highlighting faults in the US immigration system, Abdel-Rahman was granted a tourist visa in 1990 despite the fact that he was listed as a person with ties to terror groups. In 1991, Abdel-Rahman was granted a Green Card and permanent resident status. This status was revoked in 1992. Abdel-Rahman and his followers were also linked to the murder of Rabbi Meir Kahane in 1990, as well as attacks on tourists visiting Egypt in 1992. He also plotted to kill Egypt's President, then Hosni Mubarak, on one of Mubarak's visits to the US. His followers are suspected to be behind the 1997 massacre which killed 62 people in Luxor, Egypt. Abdel-Rahman also plotted to blow up New York landmarks and crucial sites, such as the Holland/Lincoln tunnels, the UN headquarters, and the New York FBI headquarters. In 1990, Abdel-Rahman pleaded "not guilty" to accusations of conspiring to wage "a war of urban terrorism against the US." During his trial, Abdel-Rahman said, "I have not committed any crime except telling people about Islam." However, at his sentencing he gave a statement that lasted over an hour and encouraged his followers to stand up to "infidel" America. "America will go and be withered and this civilization will be destroyed," Abdel-Rahman said. "Nothing will remain. We will not kneel." "The prosecution wants that we should kneel and be subservient to America and obey America," he added, "but we do not kneel to anyone, except to God."